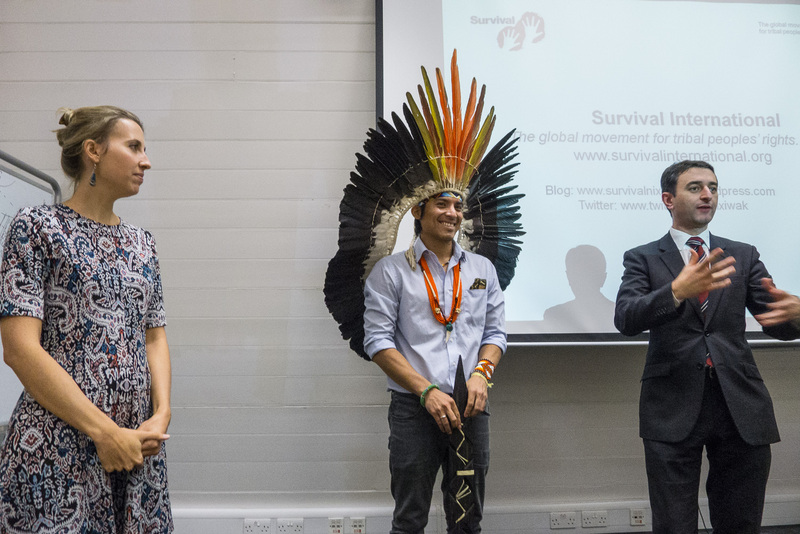 This time Café Brasil happened at King’s College London and was about “Indigenous peoples in Brazil: policies, rights, and perspectives”. Vinícius de Carvalho introduced the speakers and the relevance of topic, by saying that the indigenous issue in Brazil is a “superlative” theme, as it is always situated in extremes, characterised either by the idealisation of indigenous people that have no correspondence in reality, or by a complete disregard of their existence. Armando Castro presented Abep’s mission to the public and thanked King’s College and Survival International for supporting the event. Carolina Comandulli spoke about the “new national indigenous policy”, marked by differentiated rights and policies for indigenous peoples in Brazil, and outlined the challenges that their rights and the integrity of lands are currently facing. Finally, Nixiwaka Yawanawá exposed his experience as an indigenous person living in London and the history of contact of his tribe. In the end, he stressed the importance of public’s opinion support for indigenous peoples’ cause, as this is one of the most powerful ways of guaranteeing that they will have the right to continue to exist. 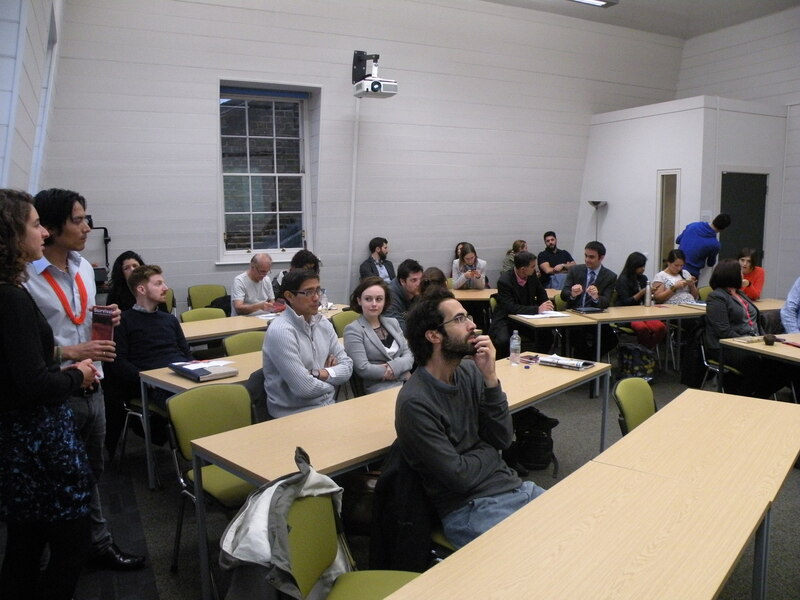 The talks were followed by an extremely stimulating debate motivated by an engaged audience. Photos courtesy of Sue Cunningham and Carolina Comandulli. If you are interested to know more about the indigenous question, please find below the publication “Tribal Peoples for Tomorrow’s World”, kindly offered by Survival International.